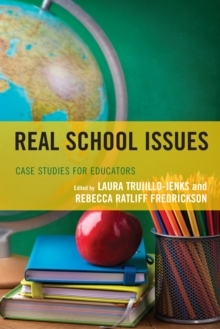 Real School Issues: Case Studies for Educators shares a series of application-based activities that highlight school issues and that are presented in each chapter with a case study, a brief literature review and guiding discussion questions, to be used with undergraduate and graduate students, and current educators. Across the globe, there are many unforeseen problems throughout our schools, such as issues in Curriculum and Instruction; Assessment and Testing; Classroom Management, Student Discipline and Campus Safety; Educator Ethical Issues; or Parents and Outside Stakeholders. This book uses researched based, problem-solving measures to help graduate and undergraduate students, as well as current educators, construct and develop potential solutions to these problems. The focus of this book is to be used as a tool to assisting learners to use researched based methods to assist them in problem solving "real world" problems in a theoretical, "safe" environment of the classroom where they can be lead and assisted by their colleagues, peers, and instructors.